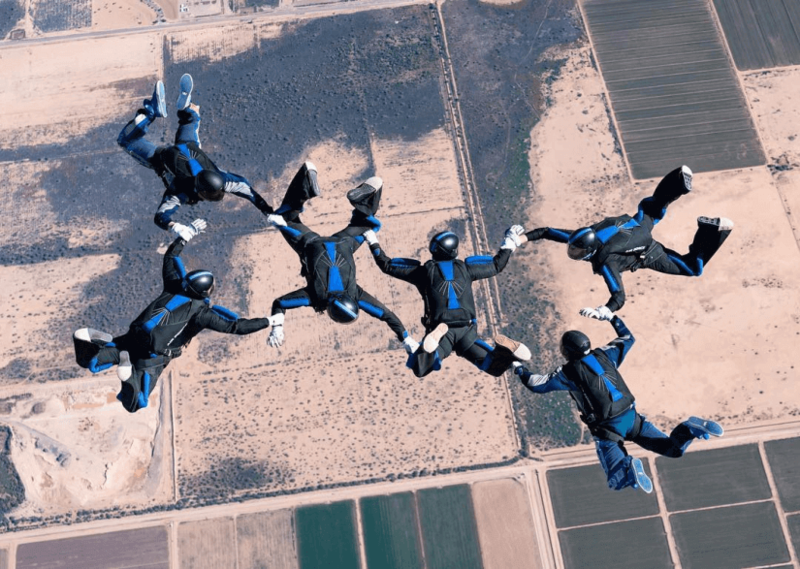 U.S. AIR FORCE ACADEMY, Colo. — Earlier this month the competitive parachute team from the Air Force Wings of Blue 37 medals at the National Collegiate Parachuting Championship in Eloy, Arizona. Seventy-three skydivers from 13 universities, including other service academies, participated in the multi-day event. The cadets said they look forward to the annual competition, which is the longest-running skydiving competition in the U.S., although their primary mission is training other cadets in the Airmanship program here. During the competition, the Junior 6-Way team “AF Mastiff” set an Air Force record by completing a 6-person formation in the first 8.96 seconds of the dive. To learn more about the cadets on the team, visit wingsofblue.com/competition-team.